Looking to bring some of the beauty of the outdoors into your apartment this spring? Consider putting together your own floral bouquet to display in your living space. Not sure where to start? We’ve got some tips for arranging a floral bouquet like a pro. Once you’ve chosen your flowers and vase, the first step is to trim the stems of the flowers down to fit into the vase properly. 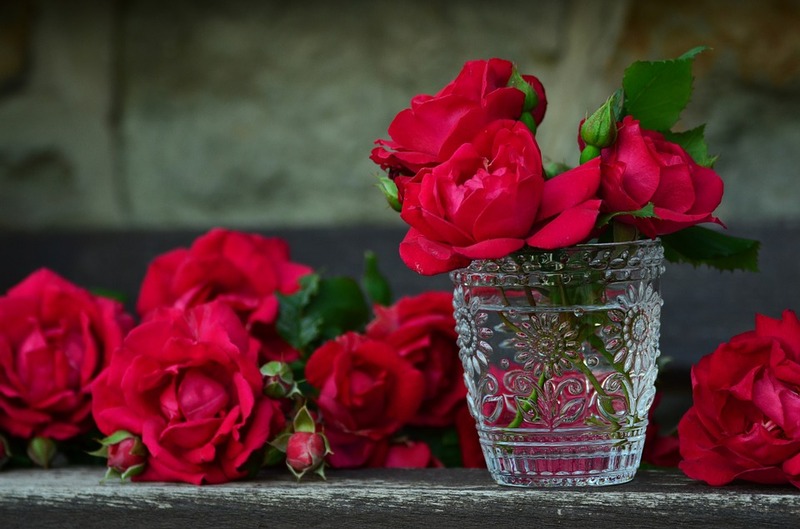 When cutting flower stems, try to cut them at a 45-degree angle; this will help to prolong the life of the flowers by helping water absorb into the stems more easily. When cutting, test out how each flower will fit into the vase and be sure to remove any foliage that will fall below the water level. Otherwise, this could cause your flowers to wilt faster and can create a foul odor as well. Start with the larger of the blooms you’ve selected to create a focal point within your bouquet. Begin arranging these blooms in circular layers, being sure to step back and assess the bouquet from a distance after placing every couple of flowers. These blooms should make for the center of your bouquet. Depending on the size of the blooms, you may also want to use a foam holder at the bottom of your vase to secure them in place. Next, use smaller blooms to surround the focal point of your bouquet. Ideally, these flowers should also be slightly shorter than the flowers in the center of your arrangement. This will help to create a natural layered look. Again, work by placing flowers along the perimeter of the bouquet, taking a step back to ensure everything looks even and balanced before moving onto the next step. Any bouquet should be finished off with a final layer of greens, berries, or a mix of both around the sides. This will help to cover up the stems of the flowers you’ve already placed and give your arrangement a “finished” look. Greenery can also be used as an inexpensive “filler” material to give your bouquet a larger and fuller look. Plus, it helps to separate blooms so that air can properly circulate between them, thus helping your bouquet stay fresher for longer. Spring is a beautiful time here at The Plaza apartments in Foster City, CA. Contact us today to inquire about current floor plan availability.